Photo 1. 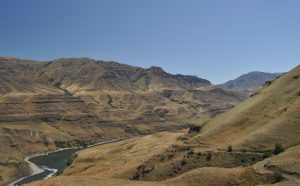 Snake River at Dug Bar, just downstream from Chinese Massacre Cove. Photo by Roger Peterson, USFS. At least eleven Chinese goldminers were murdered here in May 1887. This was one of the worst atrocities committed against Chinese immigrants to North America. The Chinese government attempted to get the United States to prosecute the murderers but the trial was left in local jurisdiction and no one was successfully prosecuted. 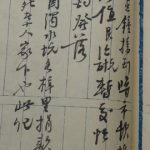 An 1888 letter from Chinese Ambassador Chang Yen Hoon to the U. S. State Department provides chilling details of the crime and illustrates how the Chinese immigrants organized to enforce their legal rights. Excerpts from the letter are provided below and a transcript of the full letter is available here. The Sam Yup Association was instrumental in documenting and reporting this crime and records from that time are still in their possession in San Francisco. 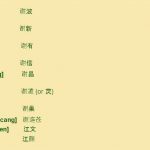 These include the names of ten of the victims (Figure 2) and documentation that fellow Chinese in Lewiston Idaho contributed $170 in gold dust to support the families of the victims (Figure 3). 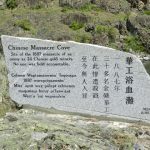 The location has been formally renamed Chinese Massacre Cove and a memorial marker was established there in 2012 (Figure 4). Access Directions: The easiest and most comfortable way to visit the site is by jet boat which can be arranged through a number of tour operators. A difficult 8.6 mile hike from the Dug Bar boat launch on the Oregon side of the Snake River is another option. To reach Dug Bar start in Imnaha, Oregon and travel north on the Lower Imnaha River Road (County Road 755) for 6.5 miles; as the road continues it becomes Forest Road 4260 also known as the Dug Bar Road; continue on Forest Road 4260 for 24 miles and park at the restroom above the boat launch. NOTE: The road is usually open all year, but Forest Road 4260 can be slippery when wet or frozen and is not recommended for trailers. Recommend only high clearance vehicles, but passenger cars could travel this road under dry conditions. To access the Snake River Trail (#102) walk 150 feet back up the road and turn left onto the trail passing by the corral. Keep uphill to the right. After 2.2 miles turn left down Dug Creek. After a mile the trail turns right along the Snake River. Continue for 1.1 miles to Deep Creek and Chinese Massacre Cove. NOTE: Be prepared for poison oak, rattlesnakes and blackberry bramble thickets. Wear good boots and long pants. Check in with the Forest Service office in Joseph, Oregon for current road and trail conditions. Photo 2. The ten named victims of the Deep Creek massacre. Photo from Chinese in Northwest Research Committee. Photo 3. Sam Yup Association document recording the donation of $700 in gold dust from Chinese residents of Lewiston, ID to the families of the murdered miners. Photo from Chinese in Northwest Research Committee. Figure 4. Memorial at Chinese Massacre Cove. Photo courtesy of Cottonwood Chronicle.